May 2, 2008 0 comments on "Inside Tricks to Speed Cleaning Your Home"
Time is tight, the kids want attention, dinner simmers on the stove and the house needs cleaning. Did someone mention housework? Most people would rather darn socks than clean their home. Consequently those annoying chores get tucked on the back burner where they sit simmering until the pot boils dry. That once 30-minute job has now turned into a half-day nightmare. Hint: Have stains on your carpet left by pets? 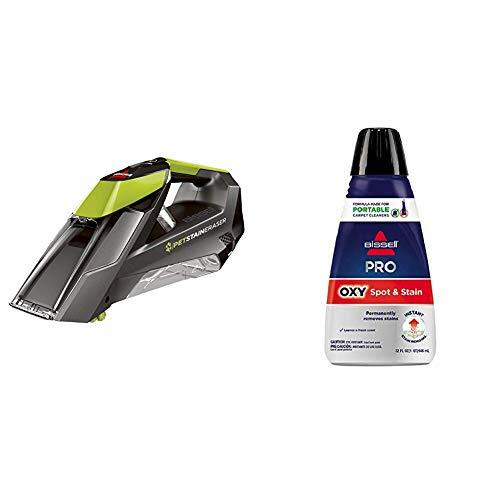 Try the BISSELL portable cordless pet stain eraser cleaner. Rather than ignoring those chores let’s explore some time savings tips professionals use to clean a home. Start by hiring yourself to clean your home. If a professional comes to clean they will insist that dishes be put in the dishwasher, clothes hung up, papers picked up and the house tidy. You cannot speed clean a home with clutter anywhere let alone everywhere. Here are a few shortcuts to help you declutter your home. If the clutter in your home seems a bit overwhelming, start with the big stuff. We live in a time when everyone thrives on instant success. Picking up large size items like clothing means fast results. That spurs you on to tackle the smaller piles. Never leave a room without taking something with you. Put it where it belongs so you don’t waste time looking for it later. Clean up your dishes after every meal. Instruct each family member to rinse and put away their own dishes. This goes for cups or glasses used during the day too. Learn to multitask. If you head in the direction of the washing machine, take a load of clothes with you. When you pull meat out of the freezer in the garage, get enough for 3 days. Leaving for the grocery store? Take the garbage out with you. Purchase a spare pair of needle nose pliers, regular pliers, a hammer and one of those screwdrivers with all four heads in one handle. Tuck them in a kitchen drawer so they are handy when you need them. Organize then organize again. Experts encourage people to organize their lives. They know disorganization robs you of valuable time among other things. Follow this outline to organize your cleaning supplies. Tote tray with dividers. 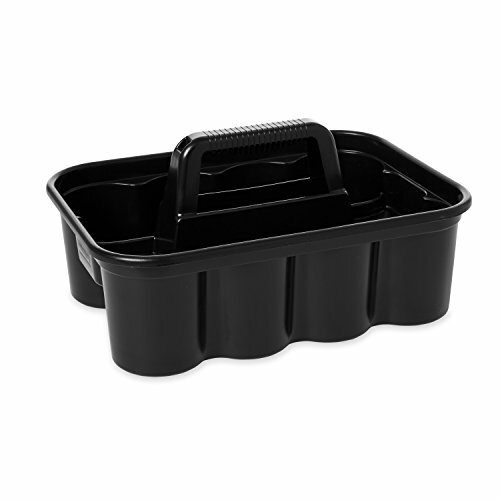 Invest in a cleaning caddy like this inexpensive Rubbermaid carry cleaning caddy. Do not waste your money with aprons designed to hold bottles of cleaners, etc. The weight of so many full bottles slows you down. Talk about an achy breaky back! White nylon scrub pad. Use for stubborn spots or water spots on glass shower doors. Use only white. Other colors may scratch. 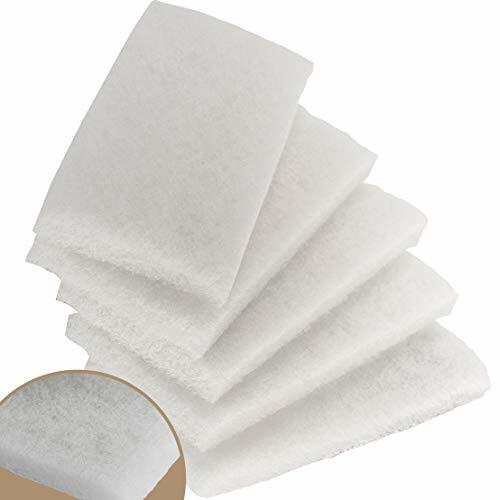 You can also use these non-abrasive scrub pads on sinks, counters, and pots and pans. Stiff bristle brush that looks like a toothbrush. It is ideal for scrubbing around faucets. 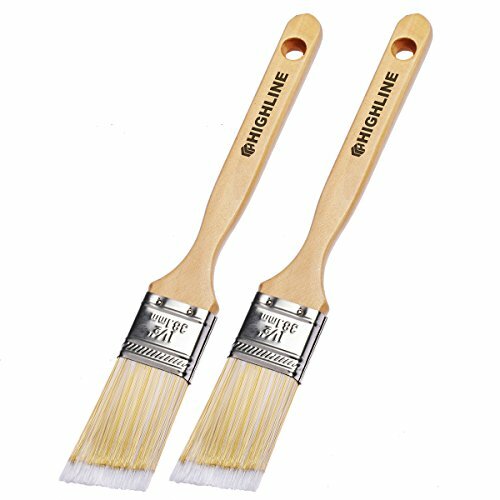 1 ½ inch paint brush. 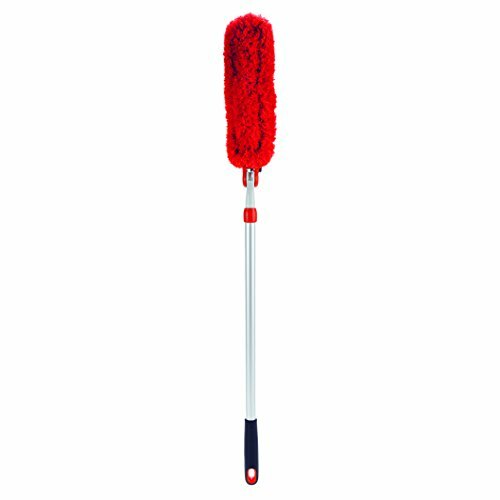 Use it to dust cobwebs along window frames and doorways etc. Next stock a plastic bag with old but clean terry cloth towels and a few lint free towels for dusting. Tuck in a second plastic bag to store soiled towels as you clean. Then add a large trash bag for emptying the trash. In today’s world of quick fixes people want fast results. They buy the fastest computer and instant dinners. The single most important thing you can do to speed clean your home has no quick fix -exercise. A regular, consistent exercise program gives you the strength and stamina to rocket you through not only your house cleaning chores but everything you do. Clean like the pros. You never see a professional enter a home and heat up a cup of coffee, flip on the TV or send an email. Do not allow distractions to pull you away from the task at hand. Let the answering machine handle your phone calls and wait to retrieve the mail until you finish. Distractions turn a 15-minute job into an hour’s worth of time. A key point to remember: You build speed as you clean. Every time you stop it takes time to rebuild your momentum costing you valuable time. Give yourself the gift of time by staying focused on the task at hand. 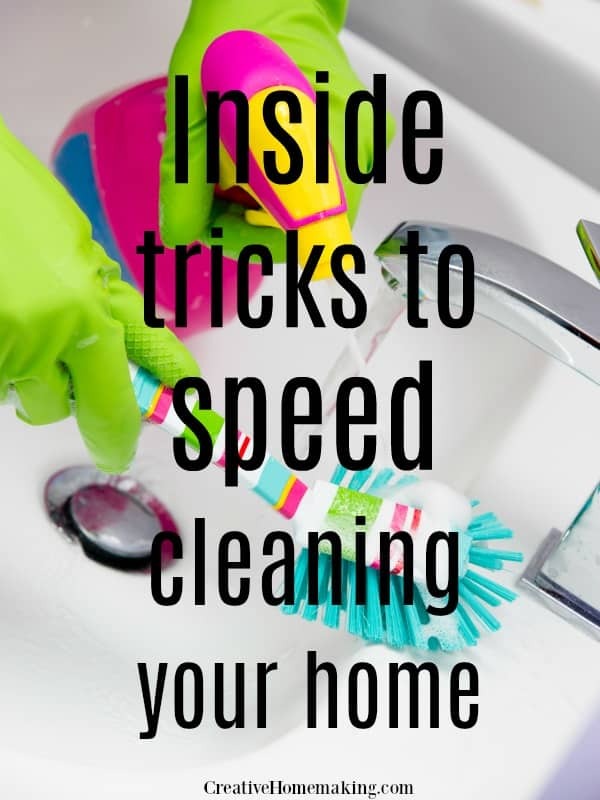 Speed cleaning usually entails cleaning your entire home all in one day. For many people this does not work due to busy schedules. Should this be your case, dust your home one day, tackle the bathrooms the next etc. Whichever job you do complete the entire task. Dust the entire house or clean all the bathrooms. It takes time to pull out your cleaning equipment so keep going until you finish. Divide and conquer. 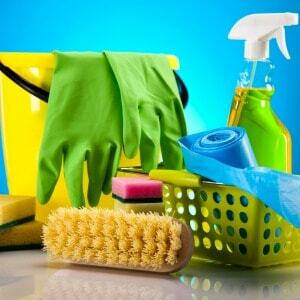 Many people become overwhelmed at the thought of cleaning their entire home at one time. A professional breaks a home into sections cleaning one section then moving to the next. Here is a basic outline to follow. Adjust the sections according to the layout of your home. Section four: Laundry room and any remote rooms. *Tip: Add a 15 to 25 foot extension cord to your vacuum cleaner so you can reach all the rooms in one section without taking time to move the cord from room to room. Also remember you may not need to clean formal living rooms or dining rooms each time you clean. 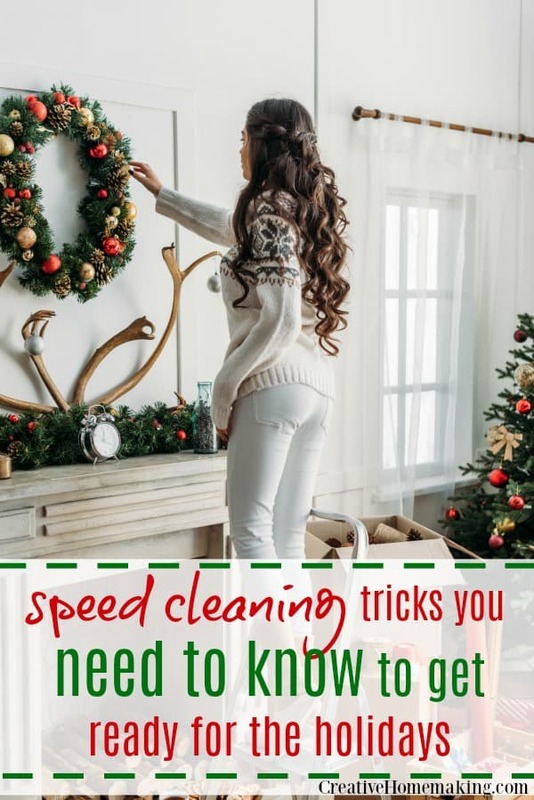 Use that time to dust cobwebs, clean cabinets, windows etc. From the top down. Deciding where to begin and how to proceed baffles many people. Clean the top floor first beginning at the back working your way either down the steps or to the center if you are on the first floor. Following this pattern keeps you from dragging equipment and dirt over freshly vacuumed carpets. Once you have developed a cleaning routine stick with it. The more familiar you are with the flow the faster you clean. Here is a common cleaning pattern to follow. Remember you will need to make adjustments based on the layout of your home. Empty the trash as you clean. You will be amazed at the amount of clutter that heads to the garbage when a trash bag is handy. Carry a second trash bag for items that can be taken to Goodwill. 10. Vacuum these areas and damp mop the entry way if it has hard flooring. The order of business: People often follow a different procedure each time they clean a room and each room they clean. The secret to speed cleaning lies in repetition. Begin either at the left or the right of the room depending on which feels more comfortable to you. Then circle the room. 1. Spray the inside of the toilet with bowl cleaner. 2. Spray the rim, toilet seat, counter top and sink with an all-purpose cleaner like this miracle tub and shower cleaner. Remember each time you put a bottle down and pick it up, you waste time. 3. Use your orange cleaner and squirt down the shower or tub enclosure. Note: if you don’t want to make your own orange cleaner, you can get some great orange cleaner from Amazon. 4. Next clean the toilet and toilet rim by sprinkling baking soda or Bar Keepers Friend on your toilet bowl brush. 5. Spray only the part of the mirror that is dirty wiping it down with a clean rag. That puts enough cleaner on the towel to clean the rest of the mirror. 6. Wipe the counter, sink and the exterior of the toilet and the floor behind. 7. Next clean the shower walls. Spray the shower floor and clean it. Finish by mopping the floor. Hint: This extendable duster extends up to 54″ to reach those hard to reach ceiling corners! 1. Lift objects with one hand then dust with the other. Place an old clean cotton tube sock over your dusting hand and lightly dampen it with your cleaner. People with arthritis or hand dexterity problems find it helpful to wear a rubber glove on one hand giving them a better grasp on objects. 2. Spray a lint free towel with the window cleaning solution and toss that over one shoulder to clean any glass inlaid tables or cabinets. 3. 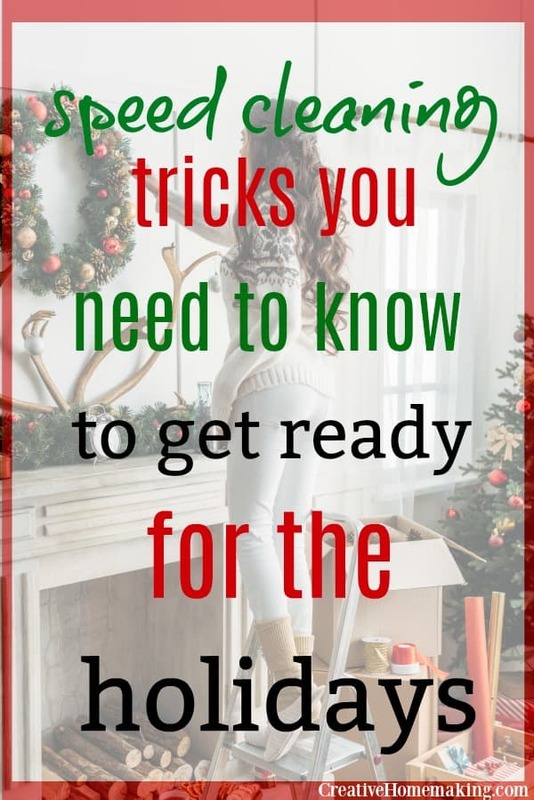 Begin dusting from either the right or the left and work your way around the room dusting window sills and wall hangings as you come to them. 4. For homes with pets, tuck a clean pair of rubber gloves into your back pocket. When you come to couches or chairs with pet hair, use the gloves and work you hands in a circular motion moving over the furniture. Toss the rolled up lint onto the floor for the vacuum to pick up. Some people cover furniture with a body size bath towel to keep them clean from pet hair. Easy to launder, towels also save on furniture wear and tear. 5. As you dust move furniture towards the center of the room to vacuum behind it. 1. Place a coffee cup half full of water in the microwave. Cook on high for two minutes. The resulting steam loosens any baked on food for easy cleaning. Allow the cup to cool for a minute before moving it so you don’t scald yourself. 2. Spray the stove or any counter area that contains dried food with a cleaner like this all natural orange scented household cleaner. 3. Start at the left and work your way clockwise around the kitchen leaving the sink for last after you mop the floor. 4. Move appliances to one side then spray the counter, dishwasher, refrigerator or microwave if it is in that immediate area. 5. Clean one section of cabinets each time you clean the kitchen, paying special attention to door pulls. 6. Mop the floor using a 100% terry cloth towel. Rinsing mops and filling buckets of water consumes time. A towel rinses quickly under a faucet then can be laundered for easy care. 7. Sprinkle the sink with Bar Keepers Friend or baking soda using a brush to thoroughly scrub the sink. Vacuum around the room in the same order you dust. Vacuum behind furniture first, replace the furniture then back out of the room. If the floors are hard wood or laminated wood, dust them then damp mop using terry towel dampened with a small amount of white vinegar and water. For all other hard surface floors, vacuum them then damp mop using hot water only. Marble floors must be dried. 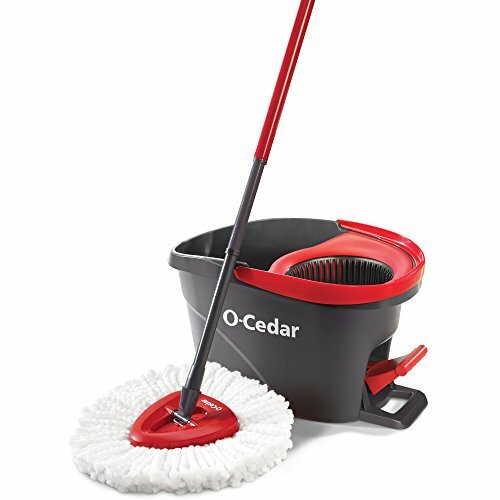 This EasyWring Microfiber Spin Mop makes mopping hard surface floors quick and easy. Mary Findley spent twelve years professionally cleaning home. She developed a floor mop using ordinary terry towels to clean. 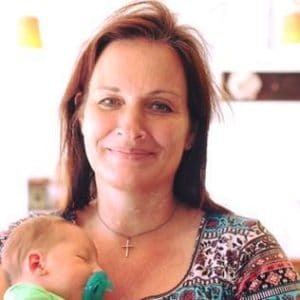 She also conducts informative and humorous cleaning seminars and writes cleaning articles for magazines. Her website is https://www.goclean.com or call 859-879-9846 for a product brochure.